to Austria in 1944; today he lives in Vienna and Semmering in Lower Austria. nearly all fields of the visual arts. Dieter Roth, Gerhard Rühm, Oswald Wiener et al. alongside other artists in European pop art. founding figure of “New Austrian Painting”. 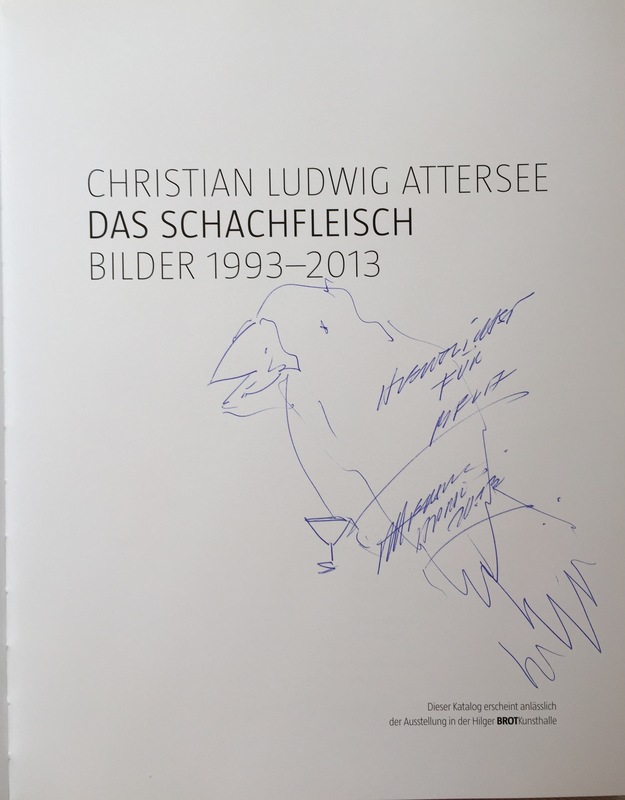 On my blog I want to show to you a small sketch which he was drawing into the exhibition catalogue (“Attersee: Das Schachfleisch”. Galerie Hilger / BROT Kunsthalle, Wien) in 2013. 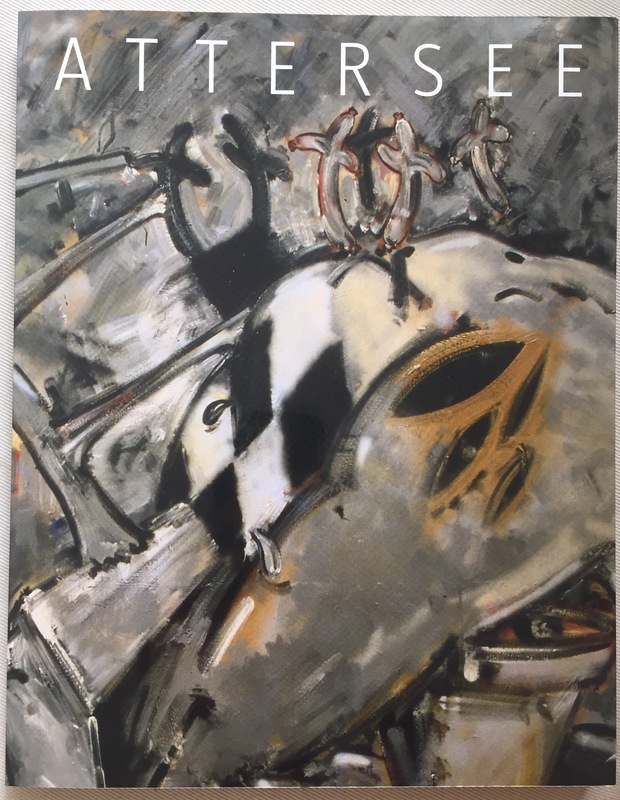 This catalogue has a trade edition of 1000. THANK YOU, Mr. Attersee for this nice sketch!